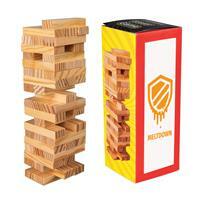 Build your next event with this new tower game. 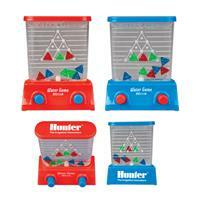 This classic game makes for a fun gift or giveaway. Use this game for team building exercises, educational games, or for pure entertainment! Perfect item for school events, teachers, and students. Includes 48 blocks. Comes in a retail box. 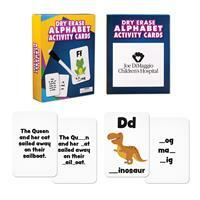 Spelling Dry Erase Cards make for a useful giveaway to parents with young children. Our spelling cards offer a dry erase marker and 36 different cards that help in the teaching of young children how to spell. Appropriate for Children ages 3 and up. 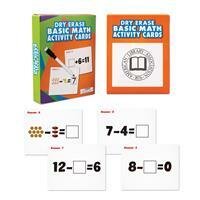 Math Dry Erase Cards make for a useful giveaway to parents with young children. Our Math Cards offer a dry erase marker and 36 different cards that help in the teaching of young children how to add and subtract. Appropriate for Children ages 3 and up. 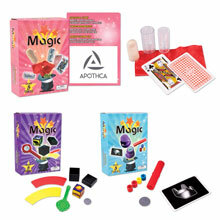 Give your promotional campaign a magical boost with our 3-Piece Magic Assortment. Each box features 5 tricks. Make sure to scan the QR code on your box to obtain the instructions for how to complete the tricks. Great for kids! This classic game makes for a great giveaway for parents of children or customers of the local bar or restaurant. They can play this game while eating and drinking at a local establishment and bring it home with your restaurant's name on the box! One location imprint only. Water Games are a great giveaway for aquariums and water-themed restaurants and amusement parks! 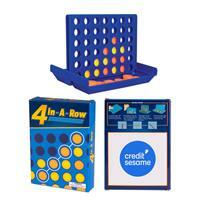 Comes in an assortment of Blue and Red and offers imprint locations on the top or back of the game. 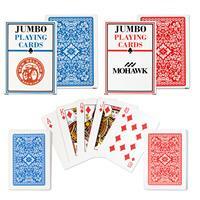 Deal a winning hand with these standard playing cards. An ideal giveaway at tradeshows, conventions and fundraisers. Comes with standard card back design - only the card box is imprinted. Available in Red (S63051X) and blue (S63051X). Show everyone that your brand knows how to have some fun with this entertaining game! 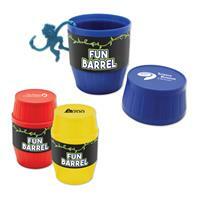 Fun Barrel comes in three different colors, each with 12 monkeys per barrel. Fun for kids of all ages. Ideal for schools, daycares, and doctor's offices. Imprint on top of barrel. Slime like no other. 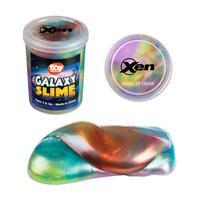 This galaxy slime offer an extremely unique look. Fun for playing or helping get rid of stress, this slime will make a fun and cool giveaway for many educational and entertaining events! Imprint on top cap. One color/location imprint only. 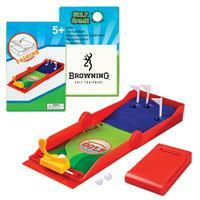 Fun and portable, this Mini Golf Game will make for a unique giveaway for sport events. Only 4 1/2" x 2 3/4", this item will hardly take up space in a bag or backpack. Imprint is on the box, not the item. One location imprint only. Fun and portable, this Mini Basketball Game will make for a unique giveaway for sport events. Only 4 1/2" x 2 3/4", this item will hardly take up space in a bag or backpack. Imprint is on the box, not the item. One location imprint only. Fun and portable, this Mini Hockey Game will make for a unique and fun giveaway for sport events. Only 4 1/2" x 2 3/4", this item will hardly take up space in bag or a backpack. Imprint is on the box, not the item. One location imprint only.